I am always excited to represent a listing, especially one in my own North Berkeley neigbhorhood, and especially such a beautiful property. But my current listing is special to me in many ways. I have known Barbara, one of the three siblings selling this home, since 1976 when we were both active Scottish dancers. I knew the house before the addition, and attended the father’s memorial service in the back garden. I helped both Uncle Arthur and Aunt Phyllis sell their properties before moving in to 1015 Mariposa to share the home with Betty, Barbara’s mom, as senior siblings, along with a care giver. And I suggested the archiect, Jerry Holan who remodeled the upstairs to be both period-appropriate and ADA compliant. We all love Mariposa as “Halloween Street” but it is so much more: it is a true neighborhood! It was a delightful surprise that Patch picked up my listing. And then I was really thrilled that SF Gate picked up the story and featured it on Friday the 15th. After six decades this testimonial to the power of family and love is ready for new stewards. I will be open tomorrow 2-4:30 pm, with green limeade, green mint Oreos, and great Irish tunes playing in this lovely home! The daffodils are blooming, and they have always been my harbingers of the beginning of the real estate market. After what felt like a very mixed but mostly sluggish fall market, 2019 appears to be off to a strong start. But we may see some subtle (and some less subtle!) changes. At least for January, list prices increased from the past year (up 6% in the six cities where I focus), but overbidding was down somewhat. However, that was only January which tends to be an odd month. February numbers are not yet in, but anecdotal information indicates that buyers are back, and with them, more overbidding. Some things have not changed: walkability continues to be what motivates the majority of buyers. It feels like it’s going to be another strong year, despite increased transaction costs in El Cerrito, and in Berkeley at prices above $1.5M. And then there’s the turmoil in Washington…some things you cannot control! This month I’m focusing on updating kitchens, the heart of the home. I have just had the pleasure of guiding the transformation of two kitchens for recent listings, and changing the kitchen lifts the feeling of the entire property. 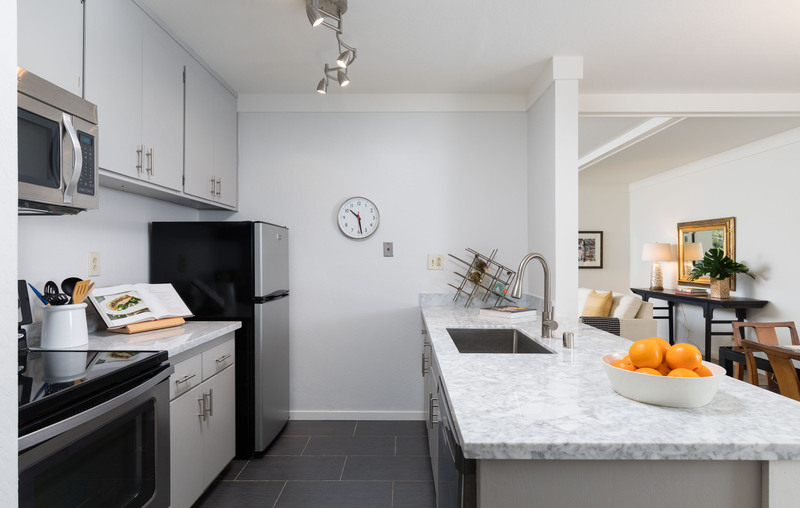 The first was in a condo near UC, where cabinets that had been stained black were painted light grey, older granite counters swapped out with a quartz material that looked like Carrara marble. 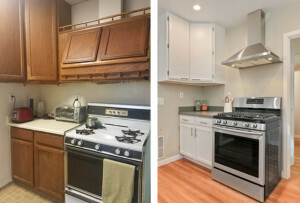 With a new larger sink, new pulls and lighting, the kitchen truly looked new. That property attracted an all-cash, pre-emptive offer, and my clients were very happy with the result: 18% over list price, to close at $750,000. I invite you to explore a new listing which will debut within the next few days, where all aspects of the kitchen were changed, except the walls and windows, as well as many other features of the home. We installed hardwood floors – which I’m pleased to say look like they were always there – new ceiling and lighting, all new appliances and quartz counters and backsplash. We painted worn wood cabinets with a special finish paint and installed new pulls. I must say the transformation is impressive! 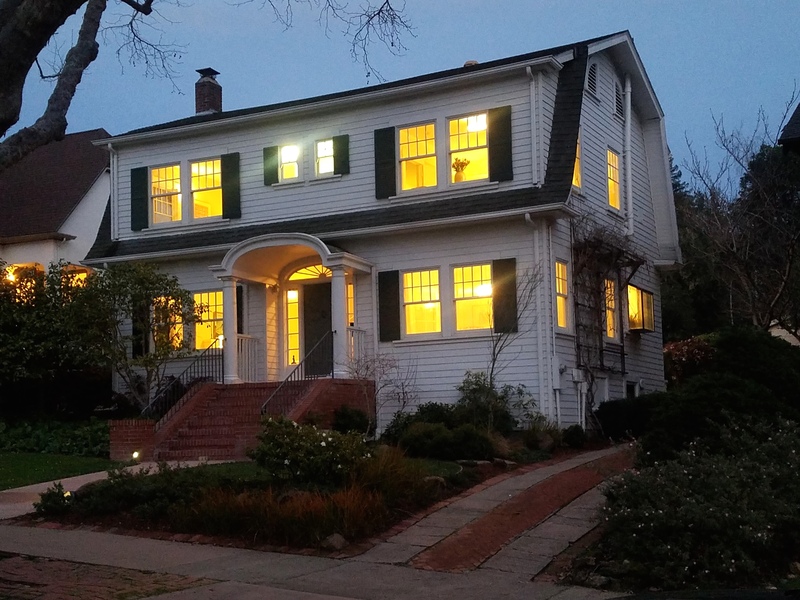 You get some sense from the before and after pictures above, but better yet, please stop by 1015 Mariposa Avenue, a spacious home on one of the most wonderful blocks in Berkeley. It’s not live quite yet, but you can check out photos at 1015Mariposa.com. I plan to have the home open Saturday and Sunday, March 9 & 10 and Sunday, March 17, 2-4:30 pm. Sometimes embracing what you have, perhaps with cleaning and polishing alone, can be the right answer. While in my other upcoming listing I’m planning to add a small bit of quartz counter where a highly polished oak bar looked out of keeping with a vintage kitchen, I wouldn’t dream of swapping out the antique Wedgewood stove. While many buyers like the current trends, I will always urge embracing the best of the heritage that each home has to offer! Behind the Curtain: How I Distinguish Myself as a Listing Agent!